Song Joong Ki is angry over the leaked photos of his ex-girlfriend that has reached momentum on the internet. 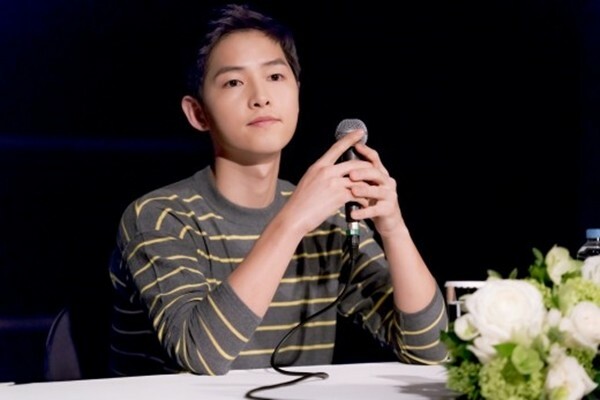 The "Descendants of the Sun" actor appeared on a press conference on April 15th. During the conference, Song Joong Ki spoke about a multitude of topics, but his privacy was also brought up. The actor was asked about where he his vote in the recent election. This brought on a statement about his privacy, stating his voting in the recent election & personal life are only his business. The actor also said that not even his agency knows about these matters. Due to his sudden popularity, his personal life were exposed to the public. He was especially upset over the recent leaked photos of his ex-girlfriend that went viral.